Applied Linguistics publishes research into language with relevance to real-world problems. We might expect that people will have trouble understanding one another when they are using a foreign language, but several studies have found that overt misunderstandings are relatively uncommon in such situations. The reason for this is that when people can anticipate that some problems of understanding may occur, they adapt the way they speak. They monitor the level of understanding by, for example, checking that the listener has understood, clarifying words and concepts that may be difficult for the listener to grasp, and creating meaning in collaboration with the listener. Listeners, in turn, indicate promptly if they have not understood what the speaker has said and offer tentative interpretations of what they think the speaker might mean. But what happens when these people fall in love with each other and start a life together? Contrary to common expectations, many partners who have met each other using mainly non-native English as their common language of communication, their lingua franca, continue with English even after years of living under the same roof. They may mix in other languages (which is in fact a very common practice in multilingual environments), but the main language of communication is often very hard to change once one has become comfortable using a certain language with one’s partner. People in a monolingual relationship may struggle to understand how someone can have a meaningful love relationship using a foreign language. 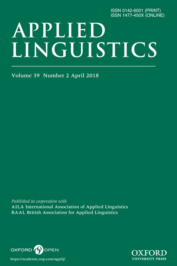 Lingua franca couples report that even strangers will often wonder why they use a language that is not native to either of them – why doesn’t one of them just use the other’s language? And how can the partners really understand each other? A recent large-scale study revealed that problems related to the difficulty of expressing emotions in cross-cultural love relationships will subside in a matter of months. What, then, are the strategies that these couples develop in the course of time, that help them understand each other? For this purpose, I asked seven couples to record their everyday interactions over a week, and then used detailed conversation analysis to identify misunderstandings and practices that seemed to prevent understanding-related problems from occurring. The results were very interesting. Misunderstandings were here defined as different from non-understandings. This means that only those occasions were counted toward the total where a partner’s interpretation of his/her spouse’s earlier turn was either rejected, corrected, or understood by the speaker him-/herself to be wrong, or where it otherwise became obvious in the course of the interaction that this candidate understanding significantly deviated from what the partner had intended. Although in these cases, it is easy to blame the speaker, it is important to remember that these speakers know each other well – they can thus expect to understand each other easier than complete strangers. In fact, Arto Mustajoki, Emeritus Professor of Russian Language and Literature from the University of Helsinki, theorizes that this “common ground fallacy” is a common reason for misunderstandings between any speakers: people expect to share a certain amount of knowledge between them and to be on the same wavelength, and thus fail to contextualize their turns accurately enough. The present study looked at conversational strategies that the couples used to pre-empt problems of understanding and attempt to arrive at a fuller understanding. One of the most common strategies found was that the couples actively communicated non-understanding. They repeated ambiguous items in the partner’s previous turn (A: “It’s the one you bought the first time.” B: “First time?”) and offered candidate understandings mitigated with softeners and rising intonation (“You mean X?”, “Like X?”). They clarified, repeated and paraphrased their own turns until the partner displayed satisfactory understanding, and demonstrated remarkable perceptiveness in monitoring whether the partner had really understood or if they just indicated understanding without actually understanding. One of the benefits of such relationships is that the partners have at least three languages to which they can resort: both partners’ native languages and the common language. If words fail in one language, they can be retrieved from other languages, and chances are that the partner will understand at least one of those items. This is also one of the strategies that the participants of the study were found to use in attempting to arrive at a shared understanding. But what happens if the partner still doesn’t understand, or if the speaker can’t retrieve the word in any language? Or perhaps the word doesn’t even exist in the language(s) which they most commonly use. H: We, uhh, I was feeling like, say like melis? Like shh. H: Yeah but we need the-uh, one of these. H: Make, if want to make like uh, shh-hh shh. In the first line, the husband uses the Norwegian word melis (icing sugar) which has already been introduced earlier in the conversation. Then he gives an example, “shh”, likely embellished with some kind of a gesture of dusting sugar. The wife seems to understand immediately what he means, and agrees that they could put a little bit of icing sugar, but only as a decoration. The husband then states that they need “one of these”, using a deictic item (taken here to mean a sieve). When the wife questions this, he again uses onomatopoeia, “shh-hh shh” in clarifying what he aspires to do with icing sugar. The last three turns confirm that even without the words “icing sugar”, “sieve”, and “dusting”, the two have managed to successfully negotiate the final touches of decorating the cake. In sum, the article concludes that long-term couples do not struggle with very many misunderstandings. However, the fact that they know each other so well both facilitates understanding but also causes miscommunication because they fall into the “common ground fallacy.” When it comes to meaning-making strategies, the couples demonstrate remarkable creativity and resilience. In addition to the strategies identified in earlier research, they use an array of extra-linguistic means in making themselves understood better. Perhaps this is something we all could learn from these couples. Featured Image Credit: ‘two person hands holding mugs on white surface’ by rawpixel. CCO Public Domain via Unsplash. Dr Kaisa S. Pietikäinen is currently working as Postdoctoral Fellow at the Department of Professional and Intercultural Communication at NHH Norwegian School of Economics. Her research interests include sociolinguistics, conversation analysis, English as a lingua franca, and multilingualism.